Looking for a place to stay in Rockport? Located within walking distance to downtown attractions, Rockport Inn & Suites offers all the amenities of home, while you’re traveling on vacation. All rooms are non-smoking, and come with complimentary continental breakfast, 32” HDTV, and access to our indoor pool, fitness room and tennis courts. We can even accommodate your 4-legged friends in our pet friendly hotel rooms. Whether you’re looking for traditional Rockport hotel rooms, or large and spacious executive suites, you’ll find just what you need to make your vacation in Rockport a memorable one. 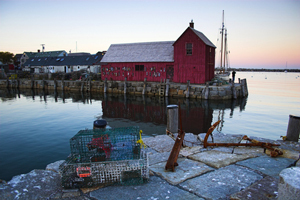 Scenic Rockport offers many world-class attractions that are unique to the area. Located just 35 miles north of Boston, there is no shortage of unique shops and boutiques, fine dining and beautiful photo opportunities. Music lovers won’t want to miss a performance at the Shalin Liu Performance Center. Nature lovers can explore Halibut Point State Park or travel out to sea on one of the area’s famous whale watches. Whatever your preference, Rockport Inn & Suites is a great place to settle in and call home, even if just for a brief stay. Use the reservation form on the right for rates and availability.